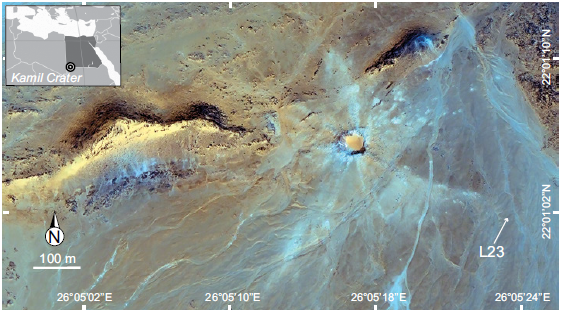 Sciency Thoughts: Understanding the formation of coesite in shocked sandstones from the Kamil Crater of Egypt. 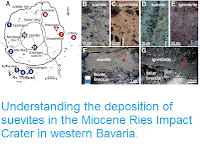 Understanding the formation of coesite in shocked sandstones from the Kamil Crater of Egypt. Coesite is a polymorphous silica mineral that forms under high pressure and temperature conditions; it is associated with impact craters, and thought to be indicative of shock-metamorphism in quartz bearing rocks. Coesite is found in non-porous rocks that have been exposed to pressures in excess of 30 gigapascals, but in porous rocks that have been exposed to pressures as low as 10 gigapascals, suggesting a different production method in these rocks. In a paper published in the journal Geology on 19 July 2018, Luigi Folco of the Dipartimento di Scienze della Terra at the Università di Pisa, Enrico Mugnaioli of the Center for Nanotechnology Innovation at the Istituto Italiano di Tecnologia, and Maurizio Gemelli, Matteo Masotta and Fabrizio Campanale, also of the Dipartimento di Scienze della Terra at the Università di Pisa, describe the results of a study of a sample of coesite from the Kamil Crater of southwestern Egypt, collected by the 2010 Italian/Egyptian Geophysical Expedition, and draw conclusions from this. The Kamil Crater is approximately 45 m across and thought to be less than 5000 years old. 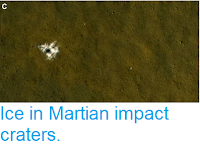 It is located in an extremely arid region, and therefore shows no sign of subsequent alteration of minerals by the actions of water, an issue at most known craters. The coesite sample used in the study comes from a fist-sized shocked sandstone ejecta sample, collected about 350 m from the crater. This was cut into thin sections for mineralogical and petrographic investigation by optical microscopy, Raman spectroscopy, and field emission gun–scanning electron microscopy. The 45-m-diameter Kamil Crater, Egypt (22°01′06″N, 26°05′15″E; QuickBird satellite image), showing collection site of the sandstone ejecta sample (L23) studied in this work. Folco et al. (2018). The ejecta sample studied is a pale, mediumgrained quartzarenite, dominated by heavily shocked, equigranular quartz grains with an average grain size of 1 mm, and including accessory tourmaline and zircon, with intergranular veins and pockets up to 1 mm across of silica glass containing microcrystalline coesite. 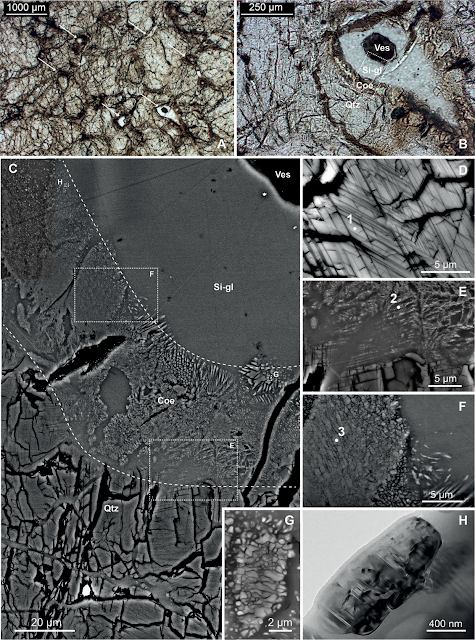 The quartz grains show strong undulose extinction, multiple sets of planar fractures, and planar deformation features, indicating shock pressures of 20–25 gigapascals. The zones between the quartz grains show distinct zoning, with a quartz zone, i.e. the grains themselves, a coesite zone, several tens of microns across and made up of polycrystalline aggregates of micro- and nano-crystals of coesite up to 5 μm across, and a homogeneous silica glass zone with occasional bubbles up to 100 μm across. Symplectic regions in shocked sandstone (sample L23) from Kamil Crater, southwest Egypt. (A) Optical micrograph showing symplectic regions (dark opaque regions with, in places, transparent colorless cores of vesicular silica glass; arrows) localized around intensely fractured quartz crystals. (B) Optical micrograph of the symplectic region imaged in the following panels. Qtz—quartz, Coe—coesite, Si-gl— silica glass, Ves—vesicle. (C) Mosaic of backscattered electron images showing a representative section of the symplectic regions within shocked quartz grains. From bottom to top, the dashed lines limit the host “quartz zone” consisting of strongly shocked quartz grains bearing planar deformation features, the ‘coesite zone’ dominated by polycrystalline domains of microcrystalline coesite set in silica glass, and the vesiculated ‘silica glass zone’. (D) Angular-selective backscattered electron image of a quartz grain with two sets of planar deformation features from the ‘quartz zone’. (E) Backscattered electron image of the transition between the quartz zone and the coesite zone. Planar deformation features in quartz abutting silica glass in the coesite zone are progressively widened. Tartan-like polycrystalline domains within this transition domain consist of quartz-coesite intergrowths set in silica glass. Note the parallelism, despite some mobilization, between the orientations of the coesite-quartz intergrowths and the Planar deformation features in quartz. (F) Backscattered electron image of a polycrystalline domains of coesite in the coesite zone showing slightly mobilized planar arrangements of microcrystals along two directions at its core (left) and flame-like resorption textures at its rim (right). (G) Backscattered electron image of polycrystalline coesite domain in silica glass showing resorption textures in the coesite zone. (H) Bright-field transmission electron microscopy image of an individual rounded coesite grain floating in silica glass showing (010) polysynthetic twinning in the coesite zone. Phase identification by energy-dispersive X-ray spectroscopy, Raman, and TEM analyses. Folco et al. (2018). Coesite occurs in distinct veins within rocks at some crater sites, such as the 300-km-diameter Paleoproterozoic Vredefort impact structure in South Africa, while at other impact sites, such as the 24-km-diameter Ries Impact Crater in Germany or the 1.8-km-diameter Xiuyan Crater in China it occurs in polycrystalline aggregates set in diaplectic silica glass. 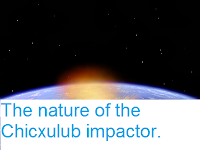 These occurrences have variously been ascribed to coestite forming during shock unloading when the pressure release path passes through a silica shock melt or nucleation from highly densified silica glass. 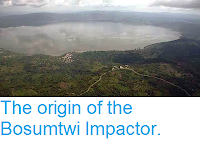 However, neither of these theories can explain the occurrence at the Kamil Crater, where coesite-quartz intergrowths form tartan-like aggregates around the borders of quartz grains, suggesting a direct transformation of quartz to coesite in a solid or near-solid state. Since coesite is thought to form at pressures of between 3 and 10 gigapascals, and the deformation structures within the quartz grains appear to suggest a pressure of at least 20 gigapascals. Folco et al. suggest that this implies significant variation in pressure and temperature within the rock, even over very short distances, at the time of coesite formation. They suggest that a pressure schock wave of about 20 gigapascals from the impact would have caused pore spaces between the grains to collapse, leading to a decrease in pressure around the edge of the grains, resulting in liquification of the mineral to form a silica glass, which in turn exerts more pressure on the grains as it solidifies, resulting in the shocked structure within the grains and transformation of quartz into a high-pressure silica polymorph (coesite) around the rims of the grains.